Smartkarma has developed a proprietary compliance interface to allow Clients to appoint their own internal compliance officer. This interface allows compliance officers to audit the activities of their team members on the platform, resulting in a streamlined integration of Smartkarma into existing policies and procedures. The Compliance Dashboard is equipped with a powerful set of features in an easy-to-use interface and available on any device. Find Shortcuts to Compliance Documents. 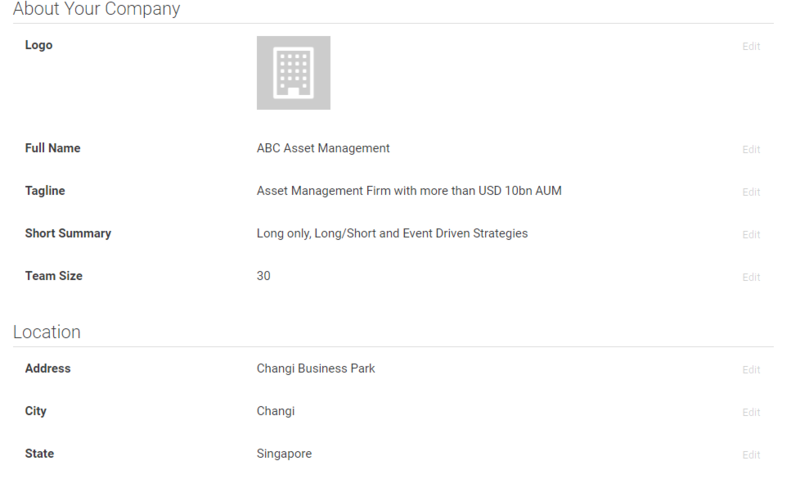 Client Compliance Officers can monitor team activity of all Client accounts under the Company. 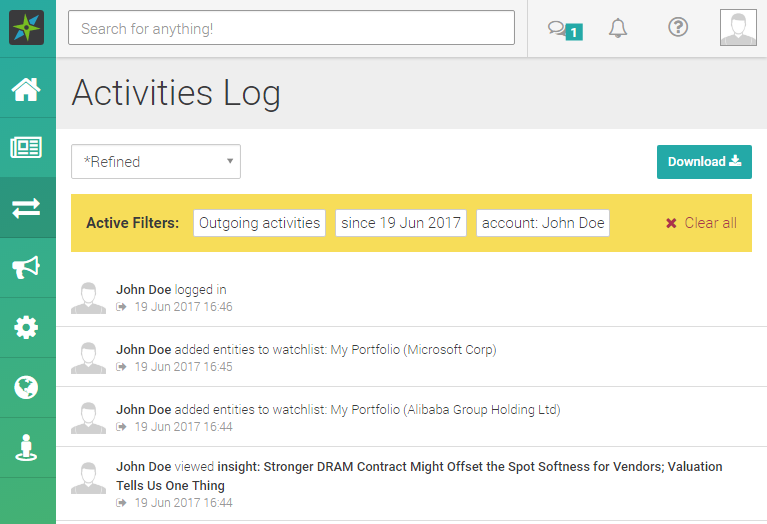 To monitor team Acitivity, access the Activities Log on the right side of the Compliance Dashboard or by clicking the inverted-arrows icon on the left sidebar. Smartkarma makes it easy for the Compliance Officer to receive their Team's Activity log automatically via email. Compliance Officers can choose a frequency of their choice (Daily, Weekly, Monthly, Quarterly) via the Communication Settings page. The Audit Log includes a trackable list of all Activities performed by the Team, including the full text of any Private Messages. This can be easily exported and integrated into internal surveillance systems. The Compliance Officer can also manage the Company and Team account settings. This can be done by selecting the Settings tab under the Key Shortcuts section on the Compliance Dashboard or by clicking on the cog icon on the left sidebar, and subsequently picking the relevant options. Delivering a compliant solution that meets our Users’ needs is key to everything we do. We continue to achieve this through implementing comprehensive policies and processes and employing innovative proprietary tools. For more information or feedback, please visit the Smartkarma Compliance Site.